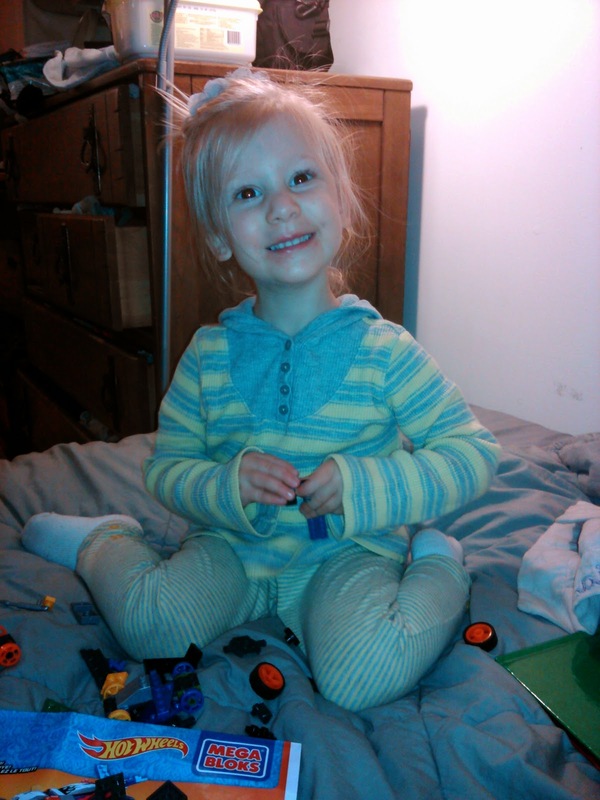 My children LOVE blocks of all shapes and sizes but one shape and size they have not had the chance to play with yet is smaller sized blocks like the MEGA BLOKS HOT WHEELS™ SUPER RACE SET 8-IN-1 that has smaller building pieces. They have been too young in the past - I didn't trust them to take care of the small pieces. 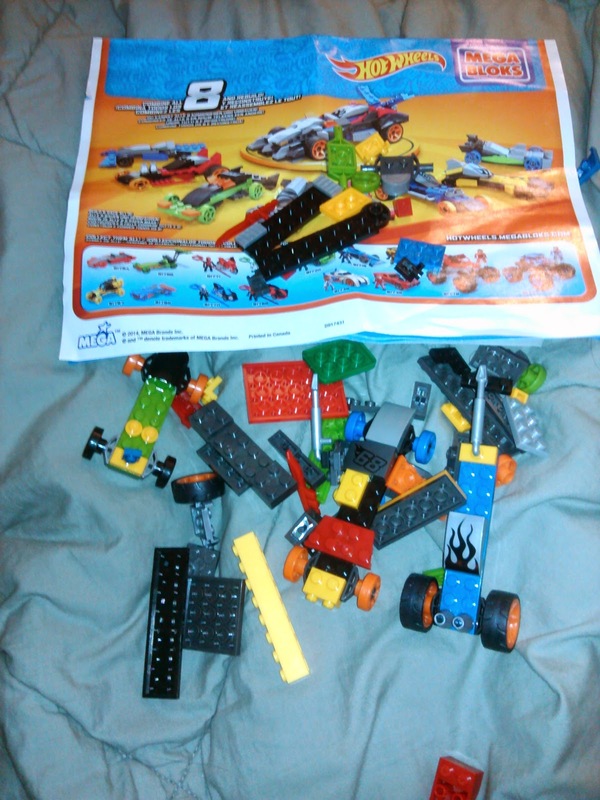 However, lately, my son has been begging me for some smaller building block pieces to play with and he has always been into building cars and other creations so when I saw the Mega Bloks Hot Wheels™ Super Race Set 8-in-1, I knew he would love them and so would my daughter (cause she loves everything he does!). 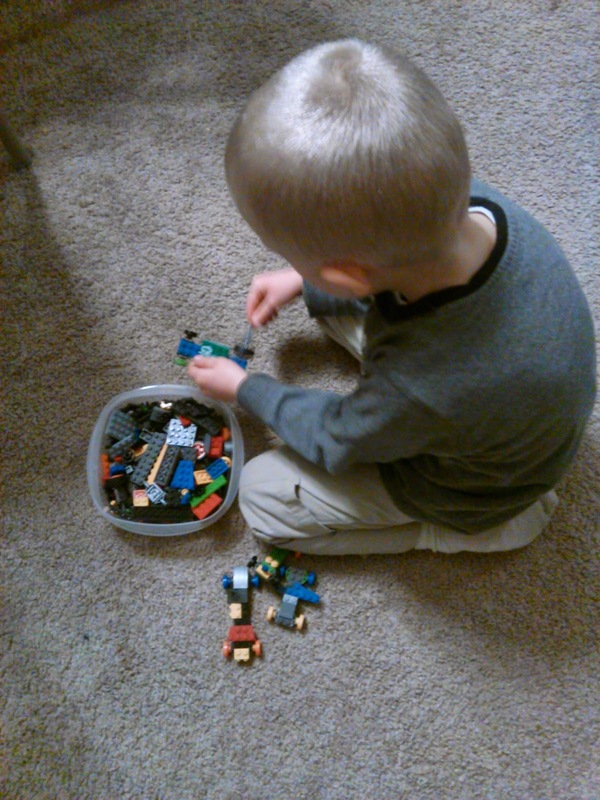 He received this set for his birthday and he instantly opened it up and let his imagination run wild. 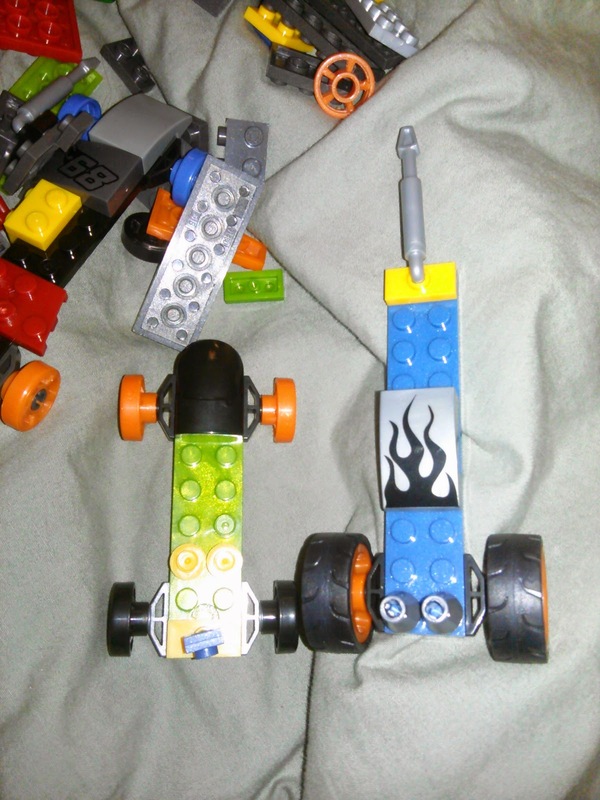 He also loved following the instructions and making eight different mini-cars with his Daddy's help! It was a great activity for them to do together - and then race them, of course! Rev those engines and wait for the green flag to drop with the Super Race Set by Mega Bloks Hot Wheels™! Build up to eight mini-cars with the assorted pieces then put the sweet speedsters to the test in an epic raceway showdown! Mix and match the pieces to create your own customized cars to blaze around the track or combine to build endless possibilities of customized super racers! Ideal for kids aged 5 and up. Here are some of my son's creations! 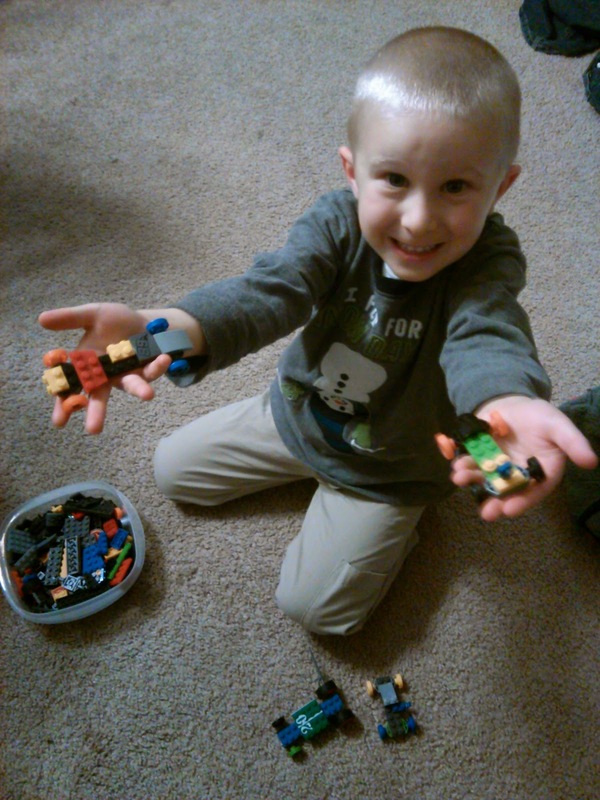 He loved making his own custom cars! 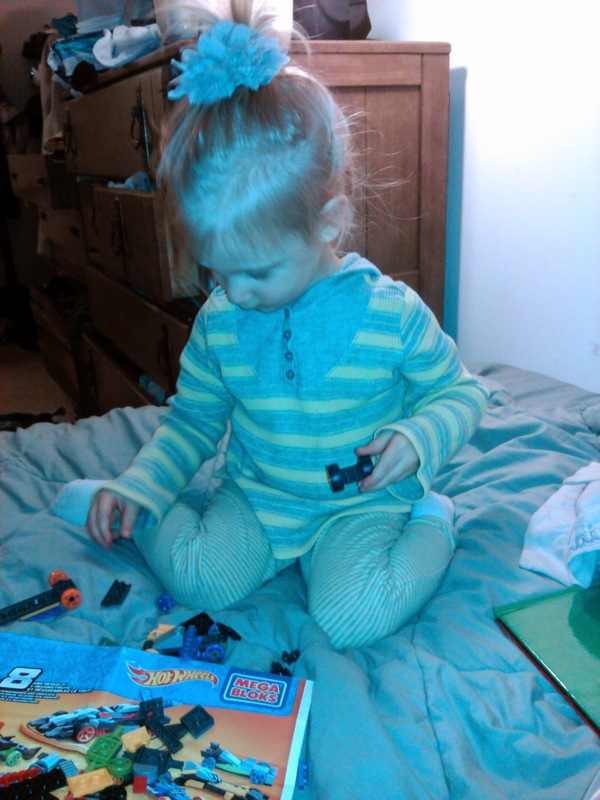 My daughter was a little young for this set but she still loved to make cars as best as she could too! You can purchase the Mega Bloks Hot Wheels™ Super Race Set 8-in-1 for $19.99 from the Mega Bloks website. Mega Bloks is generously offering (1) Mega Bloks Hot Wheels™ Super Race Set 8-in-1 to a lucky winner!